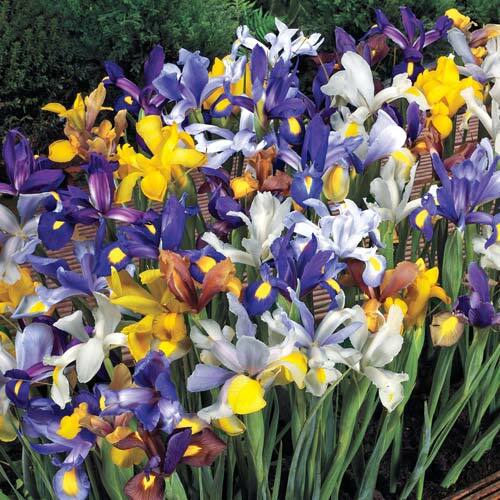 A vivid mix of blue, purple, yellow and white, these irises add a touch of elegance to the garden. You'll love these delicate, yet sturdy flowers in your floral arrangements. They are easy to grow and bloom year after year with very little care. PruningLet foliage die down naturally so nutrients can store up for next season's blooms. Remove flowers after spent, and remove foliage only after it has completely died back. Winter CareMulch in more northern areas. 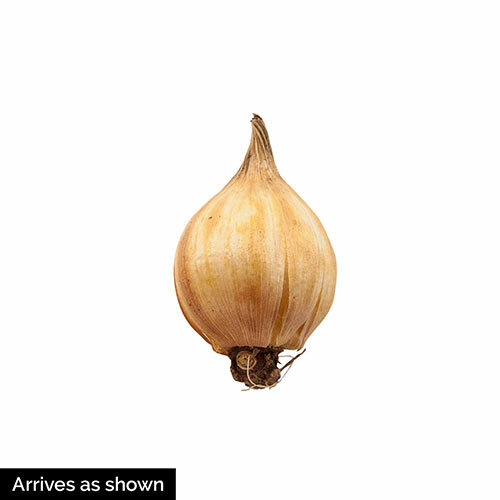 Additional InformationIris have short-lived bulbs. To insure consistent flowering bulbs, dig and divided after blooming. Planting Instructions4" deep and 3-4" apart. Can even enjoy in a naturalized setting.